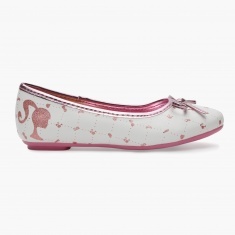 Charming and unique, this pair of Barbie printed shoes is an ideal pick for your kid. Its features a print all over and a bow applique on the front. Your darling will enjoy flaunting this comfortable pair on occasions.